We’re already seeing significant reductions in pollutants flowing to the Reef through ongoing evaluation of projects. The Paddock to Reef Integrated Monitoring, Modelling and Reporting Program reports progress towards the Reef 2050 WQIP targets. By incorporating the Marine Monitoring Program, it ensures monitoring and modelling is connected from the catchments, to the coast and the Reef and feeds into the broader Reef 2050 Integrated Monitoring and Reporting Program. 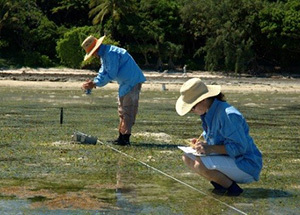 For more than 10 years, the Marine Monitoring Program has been monitoring the health of the inshore Great Barrier Reef including water quality, seagrass, pesticides and coral. The program’s objective is to detect trends and changes in the Reef’s environment and identify resilience indicators for the Reef in relation to water quality and its link to end-of-catchment loads. 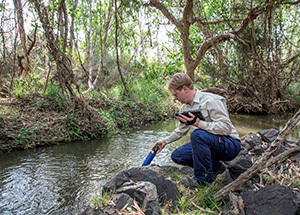 Additional Queensland Government funding has increased the number of catchment loads monitoring sites from 25 to 43 to ensure projects are delivering real outcomes. Scientists are also helping farmers monitor their water quality so they can work with local agronomists to change their practices. Learn more about water quality monitoring. Data is now being collected and modelling is underway to develop the next Great Barrier Reef Report Card which will provide detailed progress towards the new Reef 2050 WQIP targets and condition of the marine environment. For the first time, reporting will be at the finer catchment scale. The next report card will include results for two years (from July 2016 to June 2018) and will be released in mid-2019.